This is not a culture club event, just a tip off for you of a christmas event that still has tickets left. Presenting a concert of seasonal readings, music and staged extracts, the award-winning National Youth Music Theatre represents the very best in work with young people through musical theatre. 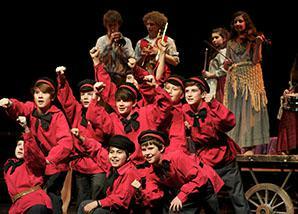 Its trailblazing work led Andrew Lloyd Webber to call it “the finest youth music theatre in the world”.